The Birth of Hip Hop Fashion. Today, hip-hop and fashion go together like Kanye and Versace, but urban hip-hop style — think Adidas, tanks and oversized pants — didn’t always have a home in the mainstream. In Fresh Dressed, a CNN Films production, director Sacha Jenkins chronicles the evolution of “fresh” style and rappers’ transition from Armani suits to b-boy chic on stage. “Hip-hop fashion was derived through the music,” explains Carl Banks in an exclusive clip from the documentary. 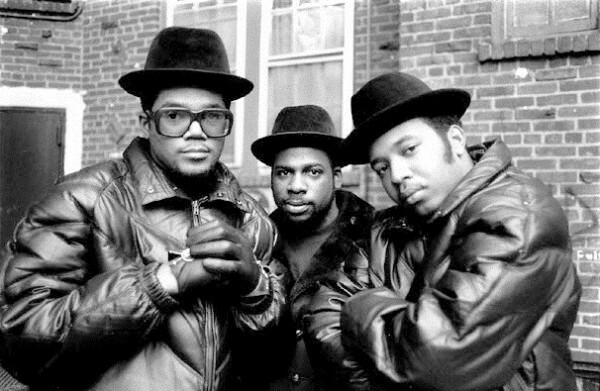 “It was a ‘we’re not gonna follow the rules’ mentality, both in music and in fashion.” The “rewrite the rules” vibe was definitely one that resonated with young audiences, launching the hip-hop subculture from South Bronx to the forefront of popular fashions. The energetic film, which features in-depth interviews with familiar faces of industry insiders like Pharrell Williams and Andre Leon Talley, premiered at Sundance on Jan. 24. Be prepared to feel a wave of nostalgia for your boombox and Puma tracksuit. 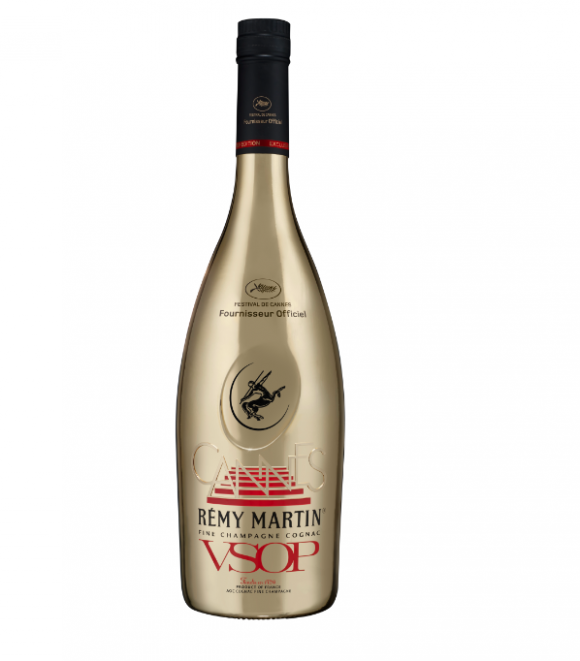 For the past 4 years, Remy Martin has been the official provider of cool at the Festival de Cannes. 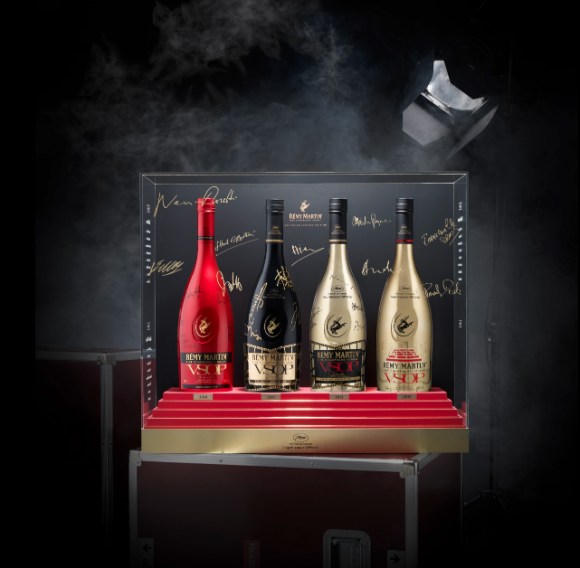 And each year they bring with them a limited edition bottle, with a special design made only for Cannes and its parties. 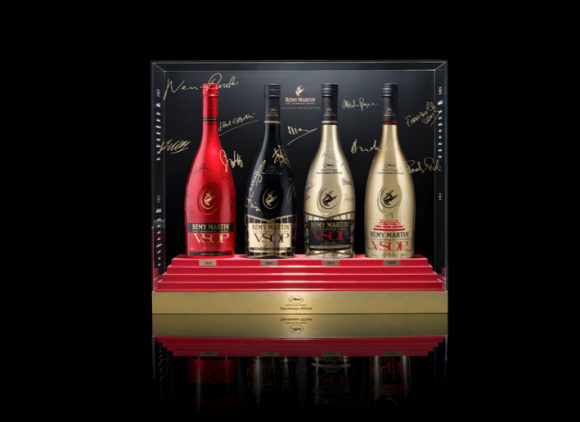 This year, besides the great gold bottle for the Cannes 2013 festival, Remy Martin announced a pack of the last 4 bottles, signed by each year’s jury. 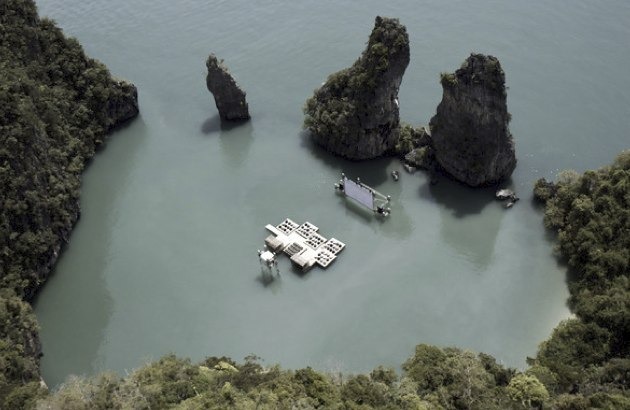 For a new film festival in Thailand called Film on the Rocks Yao Noi, an outdoor cinema was constructed in the most unlikely of places: right on top of the water. 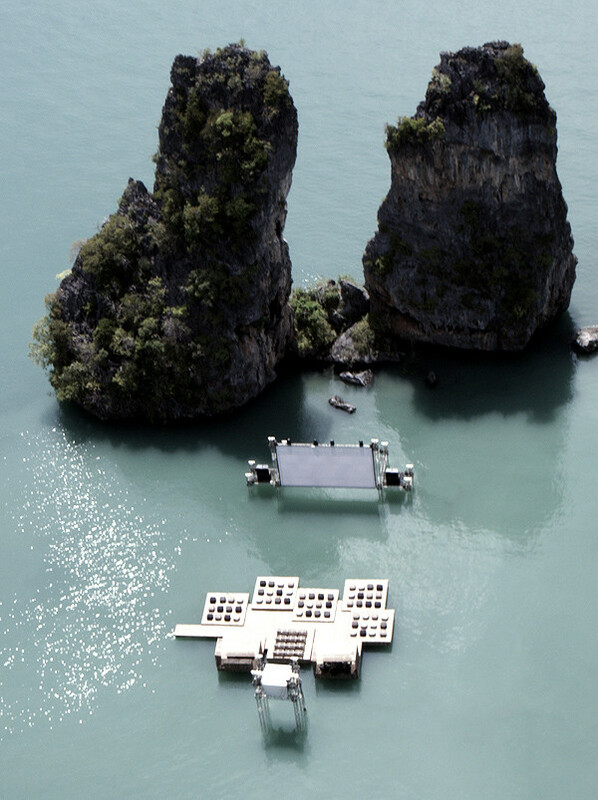 The amazing venue is called the Archipelago Cinema and is tucked away inside a bay surrounded by towering island rocks and lush jungle plants. 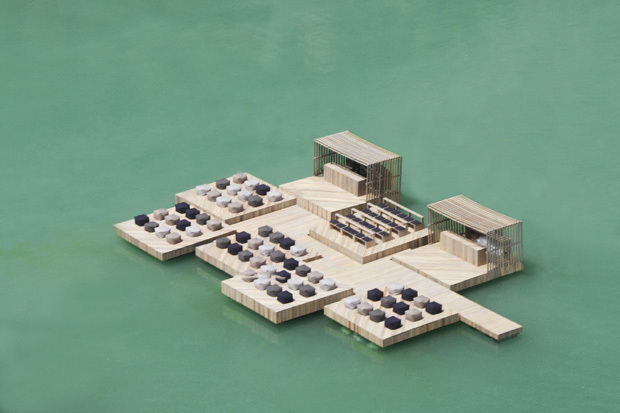 For the final night of the Film Festival earlier this month, guests were taken by boat to savor a final screening on this floating cinema designed by Beijing-based architect Ole Scheeren. 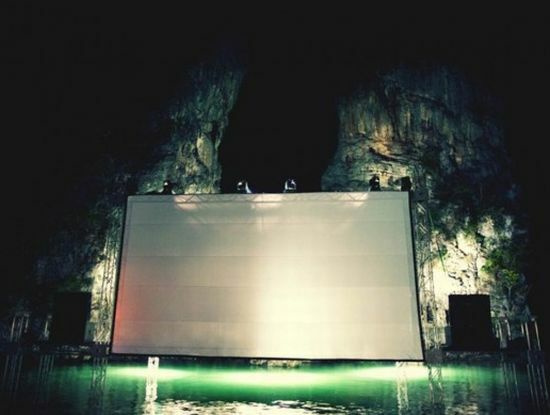 The Archipelago Cinema consisted of a floating screen, cradled between two towering rocks, and a separate raft-like auditorium. 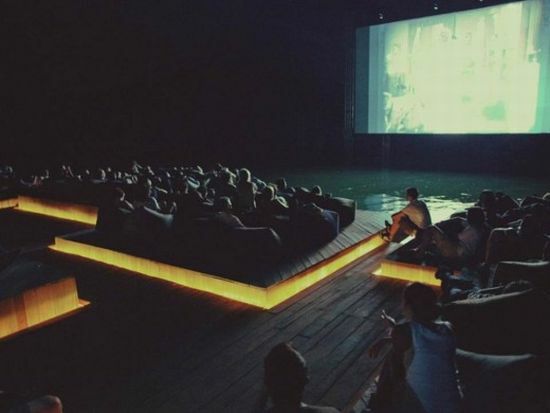 The cinema was crafted out of recycled materials, and its modular construction allows for flexibility and future reuse. 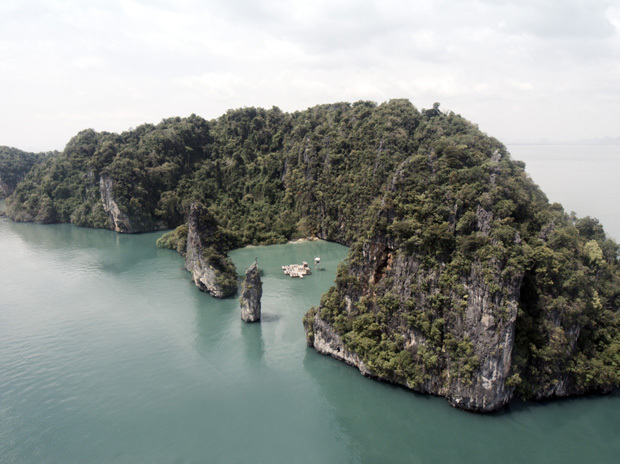 The Festival, which took place from 9th- 12th March 2012, is set to become an annual meeting place for art and film. And festival or not, this is for sure one of the coolest destinations I’ve seen in a long, long time. 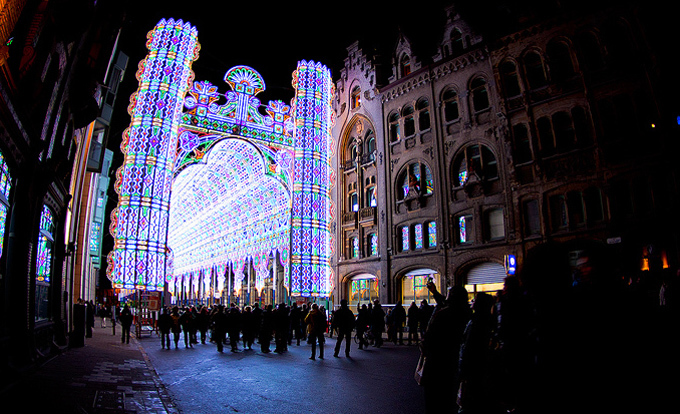 2012 Light Festival – Ghent, Belgium. 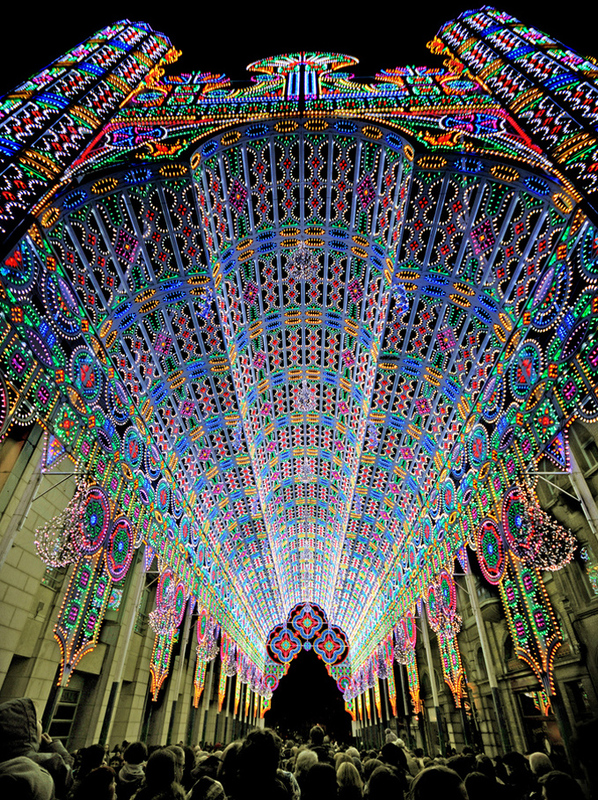 Just like fireworks, originally used in celebrations to reach up to and greet the spirits in the sky, this LED-light cathedral aimed very, very high. 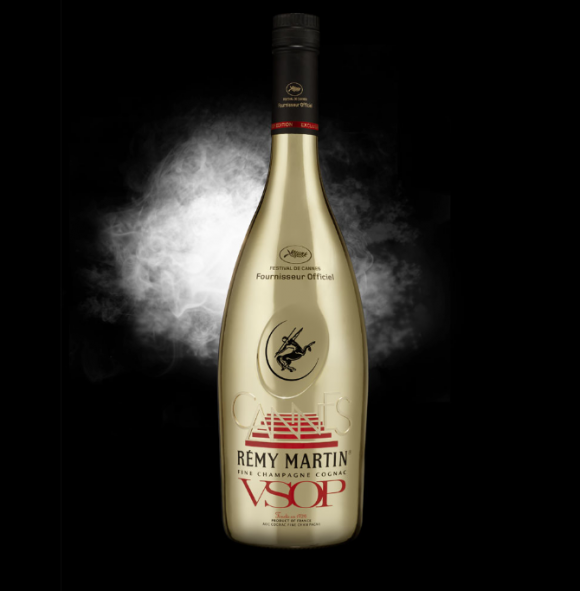 We’re not sure if it was visible from space (or higher) but it certainly glowed brightly. 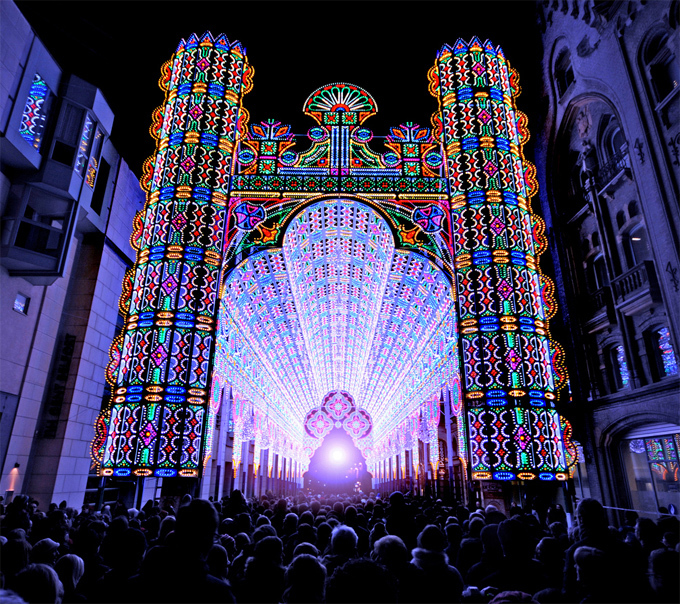 More than half-a-million people were drawn to the Luminaire De Cagna LED-light display at the 2012 Light Festival in Ghent, Belgium. 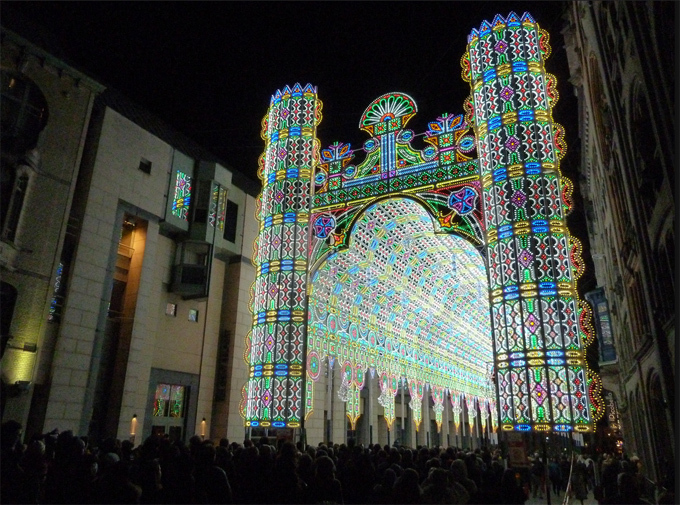 Luminaire De Cagna became the main attraction of the Festival that included more than 30 other displays and exhibitions. Constructed of wood, covered with 55,000 LED lights and reaching 28 meters (92 ft.) into the sky above Belfortstraat, the Romanesque cathedral-like Luminaire De Cagna used only 20 kWh of energy. 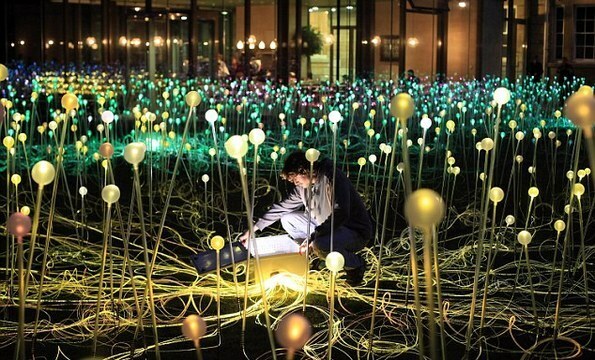 Luminaire De Cagna is an Italian family business that has created light displays since 1930. They started with oil and carbine lights, moved on to electric and, since 2006, have used LED-lights exclusively. 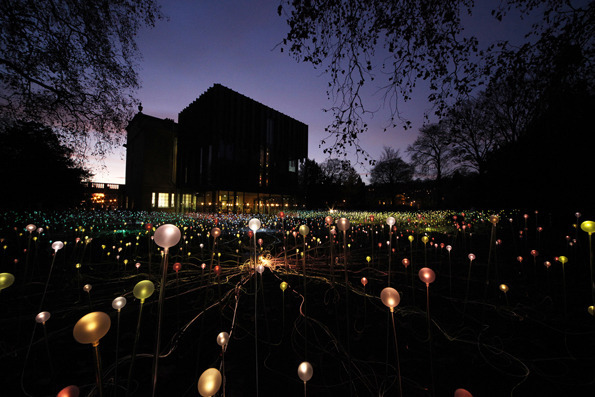 It seems England is brightening up this winter, last week saw the city of Durham become a festival of light for Lumiere 2011 and this weekend the Holburne Museum in Bath has welcomed Field of Light by artist Bruce Munro. 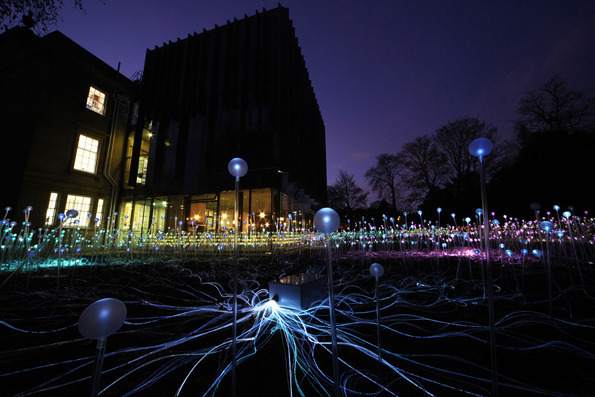 The piece, which has had previous incarnations, and it has evolved with each one. The current setup is made of 5220 acrylic stems which have fiber optic cables running through with a frosted acrylic ball atop each one. 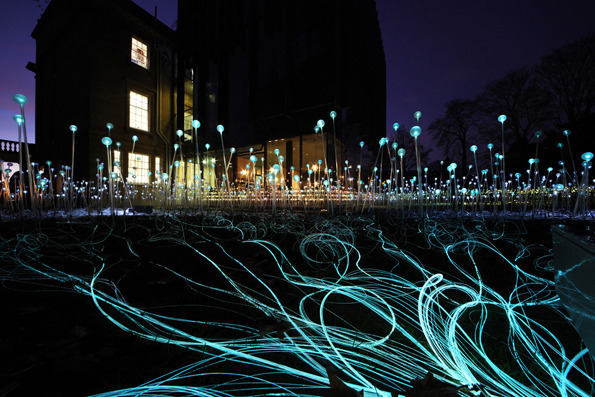 The stems are illuminated by an external projector on a color wheel, with the stems themselves having no electricity in them at all.